ES File Explorer Not Downloading KODI? Try this fix. If you have issues, try the easier Install Kodi on FireStick 2017 process which uses NO ES File Explorer at all! If you still have the ES File Explorer Not Downloading Kodi scenario occurring, don’t fear: There is an updated, brand-spanking-new method to Install Kodi on FireStick. It uses an entirely new app (not ES File Explorer) and requires no sideloading. So check out our Install Kodi Fire Stick 2017 video tutorial and written step-by-step guide to stay current on the latest, newest ways to install Kodi on all your devices. In addition to installing Kodi with the 2017 method, you can install Kodi using Dropbox. It’s simple – we outlined the basic steps in the section below. What Can I Do With ES File Explorer? 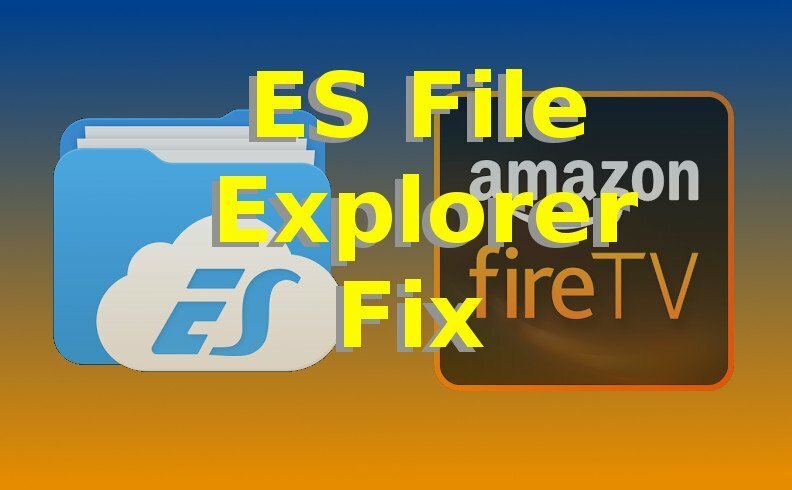 With ES File Explorer, you can..
Download / Sideload apps to FireStick like Kodi, Firefox, or Showbox. This also works with the Fire TV Box (non-FireStick). You can also log in to your Dropbox account using ES File Explorer app – then download and access anything that’s in your Dropbox using your Fire Stick. This is particularly useful for downloading ROMs for Fire Stick Emulators, or even installing Kodi itself. To install Kodi using Dropbox, simply put the Kodi APK File into a Dropbox after you Enable ADB Debugging. Then use ES File Explorer to download the Kodi APK file from the same Dropbox! Boom. Dropbox Kodi install accomplished. This is a simple solution to ES File Explorer not downloading Kodi. If you’re having trouble with the Install Kodi on FireStick process, check out our Install Kodi on FireStick 2017 video – which is much easier than the ES File Explorer process. The solution to your Kodi install problems may not be to fix ES File Explorer at all, but to use the new and improved install method (link just above). In case you have questions, ask on the KFire YouTube Channel! We’re here to help, so ask away. This fix-it guide shows you how to fix ES File Explorer Not Downloading Kodi. The easiest way to install Kodi on FireStick doesn't use ES File Explorer at all, so check out the Install Kodi on FireStick 2017 video tutorial first.